How does one go from being an injured high school athlete to a heroin addict? The path may be more linear than you may think. Recent articles in Time magazine, Sports Illustrated, and the Wall Street Journal have shed new light on not only the rise in heroin abuse as a whole, but also on the newest subset of abusers: the teenage athlete. Being the parent of two high school athletes, this revelation was shocking. Athletes learn from an early age to play with pain. It is something that is revered in the sporting world, a testimonial to one’s “toughness”. Young athletes are often worried about losing their starting role or playing time if injured and will often downplay the severity of their pain or injury (think concussions). According to Stopsportsinjuries.com, high school athletes account for an estimated 2 million injuries and 500,000 doctor visits and 30,000 hospitalizations each year. More than 3.5 million kids under age 14 receive medical treatment for sports injuries each year. According to the U.S. Substance Abuse and Mental Health Services Administration, “a full 80% of all users arrive at heroin after abusing opioid painkillers such as OxyContin, Percocet, and Vicodin”. For many young abusers, the sequences of events are surprisingly the same: A hard charging athlete is injured and is prescribed an opiated based narcotic (such as Oxycontin, Vicodin, Percocet, etc) by their well-meaning physician (usually without the stern warning of the addictive nature of the drug). Not only do opiates reduce pain, they bind to the opioid receptors in the body and mimic natural “feel-good” brain opioids such as endorphins, only at a much greater level, producing a “high”. For some athletes, chasing the euphoria of the “high” becomes all consuming, leading to abuse of pills until the prescription runs out. Then simple economics takes over. The cost of opioid pain-killers on the street is about $30 per pill, but crude, black tar heroin, brought in from Mexico, can be purchased for $5 a bag and can provide a more potent high. The end results can be fatal. My son Logan just had his wisdom teeth removed and was prescribed Norco, (a combination of hydrocodone and Tylenol) for post-surgical pain. 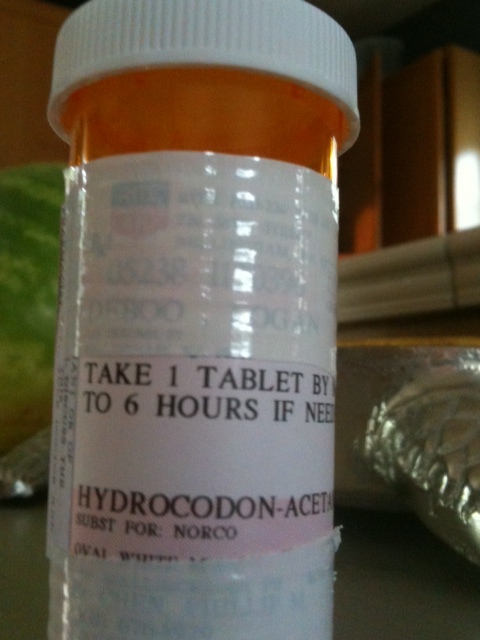 Not once, by the nurse, surgeon, or pharmacist, was the potentially addictive nature of the pain-killers discussed. As a Physical Therapist and a parent of three athletes, I will never again underestimate the power of these so commonly prescribed medications and will vigilantly educate my patients on their potential dangers. This entry was written by IPTS, posted on July 20, 2015 at 10:56 PM, filed under Blog, Youth Sports and tagged concussions, ed deboo physical therapy bellingham, heroin addict, hydrocodone, injured athlete, pain pills, playing time. Both comments and trackbacks are currently closed.